Last year, Central Texas was hit by an extreme drought that caused much undo stress and worse yet death for many trees across the region. However, the true impact of the multi-year drought on the ecological system won’t likely be fully realized for years. The drought will not only have an impact on trees in our beautiful countryside, but also in our local communities, our parks and on our properties, especially now as the drought continues and since we are still faced with enhanced water restrictions headed into the summer months. The recent heavy, long overdue rains that fell nearly a month ago were a mixed blessing, as the soil around the roots became very moistened and in some cases eroded away from the fragile root system leaving them exposed. Exposed root systems should be considered dangerous since the entire plant can fall on homes, vehicles and even on people. What happens when dry limbs face-off with high winds? For many trees, the next storm could be their undoing, as a storm packed with high winds and rain could pull them out the ground and create a lot of damage, especially in an urban area. This is the reason why residents of Austin should remain vigilant and should stay abreast of the potential hazards that could arise during a it’s life cycle. What Hazards Should You Look Out For In Order To Head Off Any Other Potential Issues? First of all, you should inspect the trees on your property at a minimum three times a year, so you can react fast in case there are signs of decay, rot or other diseases that may affect them. 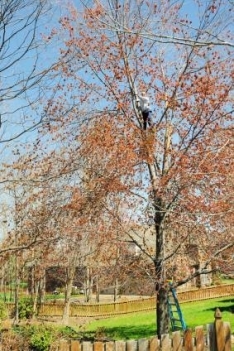 An arborist would recommend you inspect them after they drop their leaves in the fall, after they leaf-out during spring and after severe storms. The things that you must take into consideration are dead wood, cracks, weak branch unions, decay, cankers, root problems and poor architecture in general. Dead trees and also dead branches have to be removed immediately. These are very dangerous since they can fall at any time, no matter if it is a strong wind or a severe storm. You need to take immediate action if there is a broken branch stuck near the top, or if a branch or the entire unit is dead. Cracks in the bark prove that the tree is failing and you will have to take action if you see a very deep crack through the stem. Weak branch unions could also be dangerous since they are not very stable and they can encourage decay. 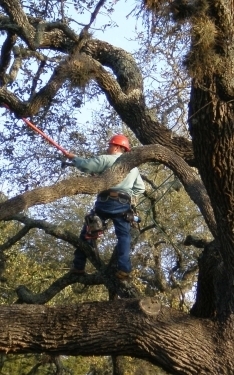 A weak branch union that is cracked or that is found on the primary stem has a great chance of causing accidents. You should take action and either cut one of the branches or create a support structure. Although advanced decay can make it fall during severe storms, decay itself does not necessarily mean that the tree is hazardous. You will need to determine if there is advanced decay associated with weak branch unions and cracks, and also if the branch is big enough to cause injuries. Additionally, the sound wood must be less than 1 to 6 inches thick in order to consider it to be dangerous. Cankers may not affect too many, since they generally appear on old wounds or disease marks. However, when a canker affects the stem, the tree becomes hazardous. Even though the tree may appear healthy, if the canker covers more than half of the trunk, then it must be cut down. Hazardous defects are visible signs that the tree is failing. We recognize seven main types of defects: dead wood, cracks, weak branch unions, decay, cankers, root problems, and poor architecture. USDA Guide: How To Recognize Hazardous Defects In Trees. www.na.fs.fed.us. 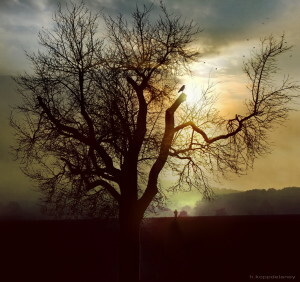 If the tree has root problems, it means that it can be easily pushed down by strong winds. Root issues are generally caused by construction, soil level elevation and extensive root decay. When rains affected Central Texas, the roots decayed and killed the entire plants. You will have to determine soil movement, root exposure and other factors that may determine root problems. 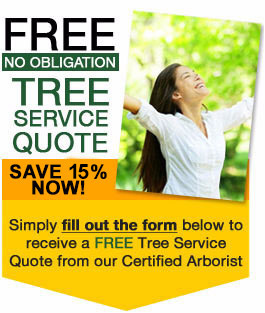 Asking for advice from a professional arborist is ideal in these situations, since they will know if a tree really has to be cut down. Need help? Call us now at 512-401-8733.